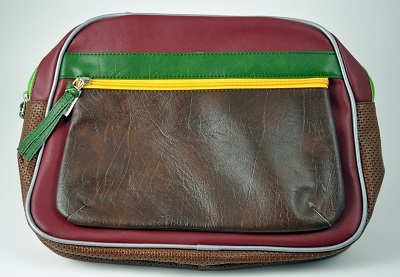 Viva Zapata is a sturdy collection of funky bags made by Argentinian expat Tania Carole Lugones. Each weekend for 7 years she would set up a table in New York City’s Soho neighborhood outside of the Camper boutique selling her designs hand sewn out of vinyl remnants from bus seats in Buenos Aires. To date Tania has sold more than 8,000 of them. That’s a lot of seat covers! Up until last year she had to work as a nanny to support herself. This is the first year she can focus solely on design.